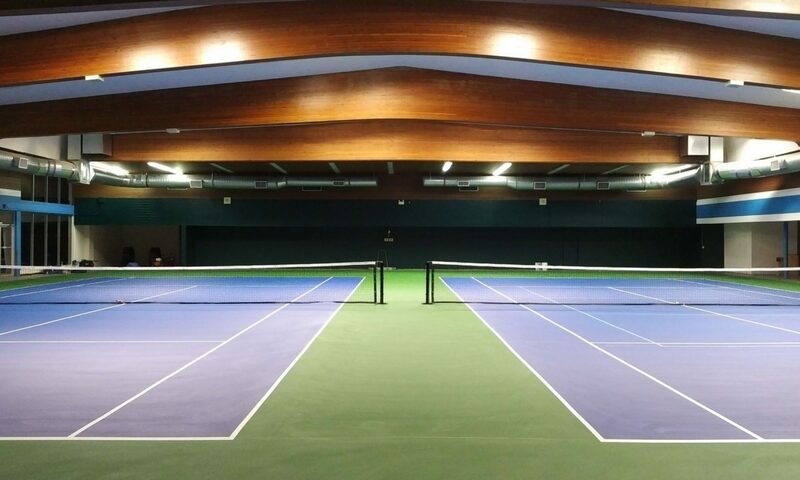 The kids programs are based on “Progressive Tennis” approach which introduces the sport of tennis in a fun and interactive way and ensures immediate success for young players aged 4-12. Using modified tennis balls, racquets, nets and courts, young players are properly equipped to enjoy rallies and learn the fundamentals of the game early on. The Jolly Bolly program exposes young children to tennis in a fun, safe, and controlled environment. Through tennis, children improve basic physical literacy skills such as hand-eye coordination, balance, and movement while playing fun games. Children will learn basic tennis skills in order to rally with partners. The emphasis is on having FUN developing the basics. Introduction to some rules for game play. The Red ball is esier to play with allowing for more success. This program is similar to the one aimed at 6-9 years old but adjusted for bigger kids, faster balls and better coordination. Green Dot balls are faster and smaller than the Red ones and help to have fun and learn to play tennis faster. Lots of game play and FUN drills. Prepare to play tennis matches. Match play for kids! These are suprervised/coached match play sessions which will greatly improve kids competitive skills. Depending on the players level, softer/slower balls might be used. 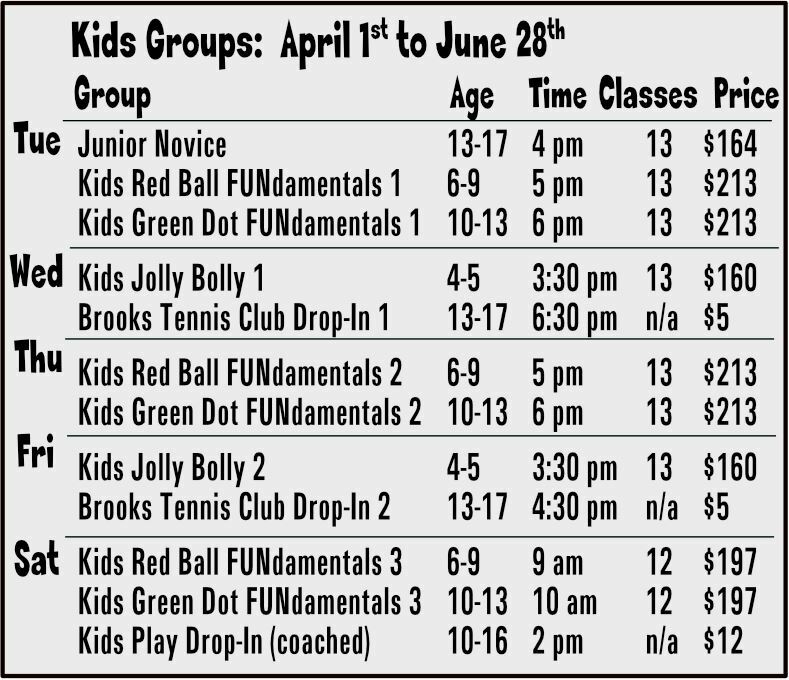 Please see below the schedule of our tennis lessons, clinics and match play for kids. Please click here to register! For this term the usual discounts will be applied (20% for siblings, 10% for repeating lesson takers and 15% for Centre’s members). The rebate will be posted on your account once you book the lessons. Please note that due to holidays this term we have different number of lessons for different programs which is reflected in the cost of the lessons.